The deadline for registration to BUD-GRYF & HOME Matchmaking (16 March 2018, Szczecin, Poland) is extended from 1st of March till 12 of March 2018. The companies may submit their profiles until the 8th of March 2018. Six organizations of the National Academy of Sciences of Belarus will be present at 18th international specialized exhibition "WELDING AND CUTTING" (10 - 13 April 2018, Minsk, Belarus). The exhibition will be carried out together with the international exhibitions ”Mechanical Engineering”, ”LitMetExpo” and ”Corrosion Protection. Coatings”. 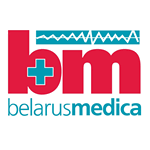 Six organizations of the National Academy of Sciences of Belarus will be present at Belarusian Medical Forum including the "Healthcare of Belarus 2018" (BelarusMedica) (27 - 30 March 2018, Minsk, Belarus). The training course "Commercialization and Technology Transfer" took place in Minsk on 19 - 23 February 2018. The event was held at the Researchers Training Institute of the National Academy of Sciences of Belarus. The course was attended by specialists of marketing services and researchers from the organizations of the National Academy of Sciences of Belarus, the Research Institute for Fire Safety and Emergencies of the Ministry of Emergency Situations of Belarus, the Belarusian State Institute of Metrology and the National Institute of Education of the Ministry of Education of the Republic of Belarus. Classes were conducted by Dr. Alexander Uspenskiy, Director of the Republican Centre for Technology Transfer, Consortium coordinator of the COSME project “Enterprise Europe Network Belarus”, as well as the staff of RCTT - Dr. Vitali Kuzmin and Dipl.-Ing. Aliaksei Uspenski. On February 20 and 21, the events in the series "Week of the Horizon 2020 Program in Belarus - 2018" took place in Minsk, organized by the State Institution "Belarusian Institute for System Analysis and Information Support of the Scientific and Technical Sphere" ("BelISA") coordinating on behalf of the State Committee for Science and Technology of the Republic of Belarus participation of Belarus in "Horizon 2020". Presentations of information days will be available at the National Science and Technology Portal http://scienceportal.org.by and the website of the National Information Office of the EU's programs on science and innovation, http://fp7-nip.org.by. 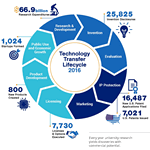 The Association of University Technology Managers (AUTM) published FY2016 Licensing Survey. AUTM invited 309 U.S. institutions (including universities and colleges, hospitals and research institutes, national laboratories and third-party technology investment firms) to participate in the AUTM U.S. Licensing Activity Survey: FY2016. AUTM received 195 completed surveys, for a response rate of 63.1 percent. 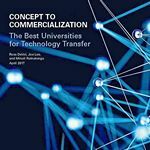 Respondents for 2016 comprised 165 universities, 29 hospitals and research institutes, and one technology management firm. The numbers from these institutions reflect the significant role played by technology transfer in today’s innovation economy. 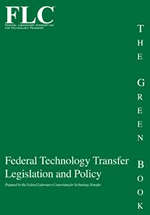 The fifth edition of Federal Technology Transfer Legislation and Policy (a.k.a. “the Green Book”) has been posted on the Web portal of RCTT, under the Subsection "Legislation of the USA". The guide book had been compiled and published by the Federal Laboratory Consortium for Technology Transfer to provide comprehensive and up-to-date information on the principal statutory and presidential executive order policies that constitute the framework of the federal technology transfer programme. It is intended to assist policy makers and technology transfer practitioners in the US government by serving as a legal reference resource. At the same time, it is intended to help those outside the government to acquire a fundamental understanding of the legal framework within which technology transfer works. 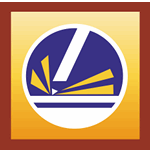 Please, visit the Web site www.federallabs.org to obtain the information about the guide book and the Federal Laboratory Consortium for Technology Transfer. The State Scientific Institution "The B.I.Stepanov Institute of Physics of the National Academy of Sciences of Belarus" will represent the NAS of Belarus at the 13th International Specialized Exhibition for Optical, Laser and Optoelectronic Technologies "PHOTONICS. WORLD OF LASERS AND OPTICS 2018" (February 27 - March 2, 2018, Russia, Moscow). Achievements and proposals for cooperation of the Institute and other organizations of the NAS of Belarus you can find on the Virtual exhibition of the National Academy of Sciences of Belarus. 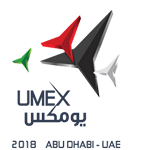 The Republican Unitary Enterprise "The Scientific and Production Center of Multipurpose Unmanned Systems" will represent the NAS of Belarus at the Unmanned Systems Exhibition & Conference UMEX-2018 (February 25 - 27, 2018, United Arab Emirates, Abu Dhabi).